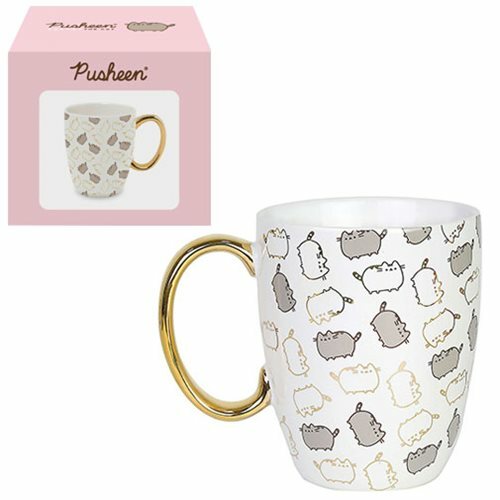 This classy Pusheen the Cat Gold Pattern Mug holds 12 ounces and features a gold accented Pusheen pattern print and a gold handle. Made of durable stoneware, it measures about 4-inches tall x 3 3/4-inches in diameter and comes in a gift box. Hand wash only. Not dishwasher safe. Do not microwave.